A Yearning 4 Learning: Future Chess Champion? 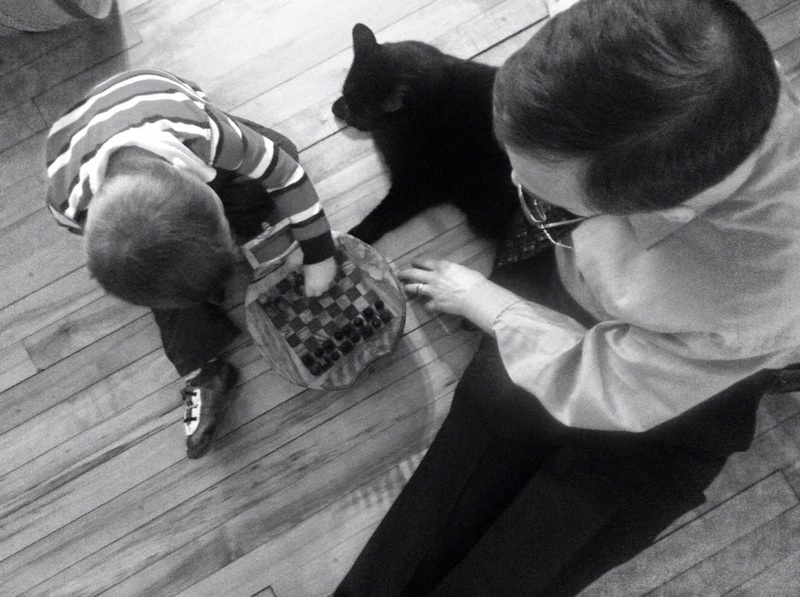 IntelliGent has been fascinated with chess ever since he watched Dr. Dad and Grandpa play the game. I won't mention who won. While chess is not my game of choice, Dr. Dad has played the game for years, even competing in tournaments during his youth. He has a small collection of chess boards he bought on his travels through Europe. Dr. Dad and MagnifiCat watch IntelliGent arrange the pieces. 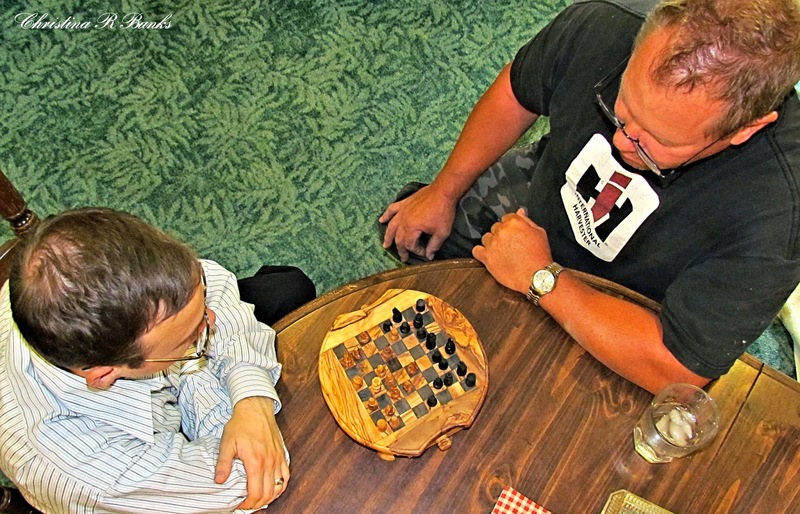 IntelliGent loves spending time with Dr. Dad and learning the game of chess. At age 2.5, IntelliGent's understanding is limited to the names of the pieces and their correct placement on the board. Dr. Dad hopes to start teaching basic moves in the near future. Do we have a future chess champion? We aren't pressuring him in that direction, but I do look forward to the day IntelliGent can enjoy playing the game with Grandpa.